Check out Kitakubu, a new anime society page! Like Our Facebook page to get the latest anime news or just talk anime! Also Check out our Youtube channel to watch our episodes! Which is better, Angel Beats or Haibane Renmei? 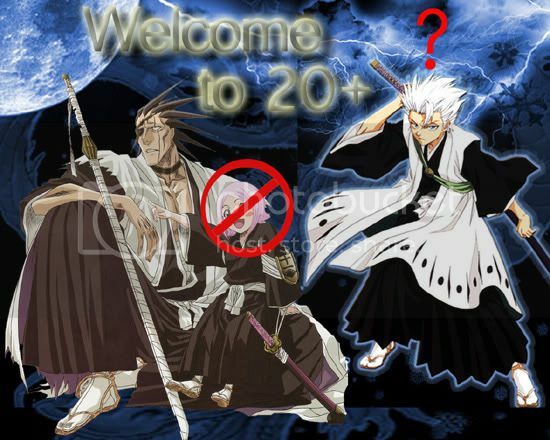 Welcome to 20+ club! Make sure to introduce yourself in the forums if you haven't already. Yeah I know >.< I wish I would have played the game instead but oh well :P.
Steins;Gate feels a lot like Chaos;Head for some reason >.>...Only in the craziness factor though. Yeah, it's weird because I watched Gintama' episode one even though I haven't finished the first series yet, but I enjoyed it a lot more than I though :P even though I didn't recognize a couple characters. I'm liking a lot this season, but I'm also not very picky. I just hope that Deadman Wonderland doesn't disappoint a lot of people. Yuppers! Just watched Dororon Enma-kun tonight >.< so awesome! You? Not much really :P just woke up from a nap and getting back into my anime schedule.